And surprise, surprise—you weren’t expecting Emma Roberts, were you? (I was)— We’ve even got y’all a blurb! And maybe even a giveaway! And an interview! REVEL IN ALL THE FUN, MINIONS! In this sequel to Doon, Mackenna Reid realizes she made a horrible mistake—choosing to follow her dreams of Broadway instead of staying in the enchanted land of Doon. To make everything worse, she’s received her Calling—proof she and Duncan are each other’s one true love—and it’s pure torment, especially when visions of the very alluring Scottish prince appear right before she goes on stage. 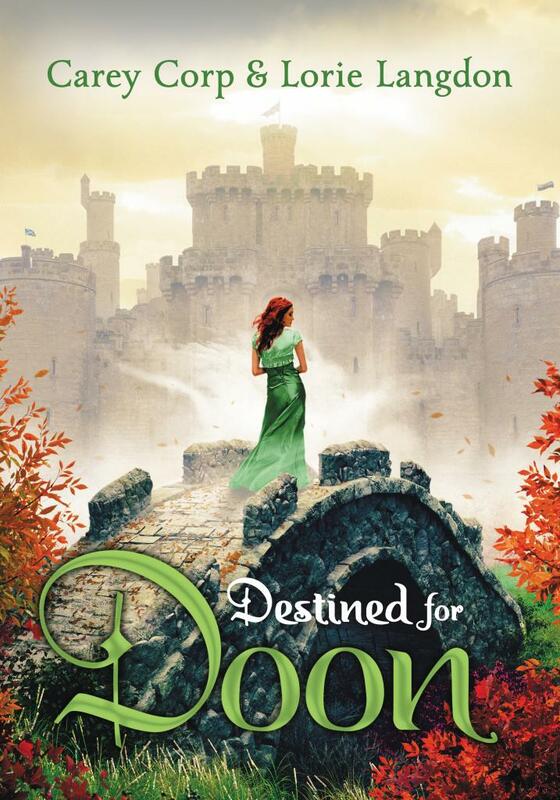 So when Duncan tells her an ancient curse threatens to overtake Doon and the new queen needs her to return, Kenna doesn’t have to think twice. With darkness closing in on all sides, Kenna and Vee must battle a world of nightmares in order to protect the kingdom. But it will take the ultimate test of courage for Kenna to salvage her happily ever after. Coming from BLINK in Fall 2014. Contest ends 11:59 PM 1/1/14. Each tweet and RT counts as an entry. Winner chosen at random on 1/2/14. Winner will be private messaged on Twitter and therefore must follow us. PS: Stick around and later on this month we’ll have an interview with Carey and Lorie!